Whether you are camping or on the beach, this tool is for you. 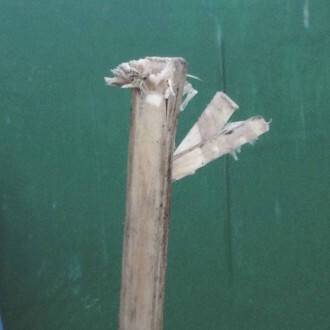 It will help keep control of the windbreak whilst you hammer it in using a rubber mallet and will prevent the wood from splitting. The tool will also protect your hands from the mallet. 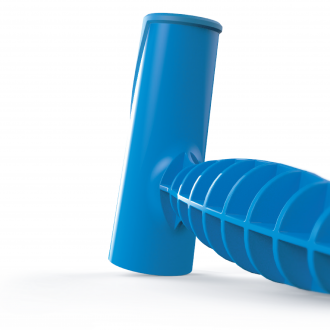 This product is easy to use and was made by a fellow camper in the UK. Windbreak poles are usually made from cheap pine and split when hammered into the ground. 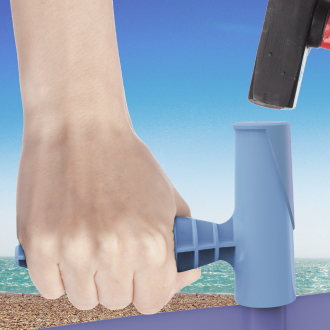 Easy Windbreak Tool creates a barrier between the pole and the hammer preventing the pole from splitting whilst keeping your hand out of harms way.